Rubber Dance is a homebase stamp company in Norway. We manufacture all our stamps on site. Stamps are deeply etched red rubber with a natural "clingy" back that will adhere to acylic blocks and stamp platforms. Bee Crafty is a card making, rubber stamping & scrapbooking supplies shop. We specialise in card and papers, and all associated supplies, inkpads, adhesives, tools, 100’s of scrapbooking papers and 1000’s of other supplies for your card making, scrapbooking and craft projects. We have an extensive range of products with new ranges are arriving all the time which we will be adding to the new site everyday, including weekly special offers, craft classes and crops. Chocolate Baroque is a small independent art and craft company, based in the historic market town of Barnard Castle in County Durham in the North-East of England and is owned and run by Lesley Wharton. Our resident artist, Sue Page, works from her home in Hampshire where she is inspired, amongst other things, by the natural world, botanical art and early 20th century illustration. We design our own range of natural rubber art stamps from Sue's hand drawn originals, complemented by typography from Lesley. The rubber stamps are made in house, by David, to our very exacting quality standards. And nothing gets past his eagle eye! Visible Image Here at Visible Image our stamp designs are unique, original and different… we love to stand out! From arty images and inspiring quotes, to super cool background stamps, we know you will enjoy creating with our deeply etched clear photopolymer stamps, made here in the UK. "My name is Suha and I have created Swedish House Crafts in the second part of 2016. It is a little Swedish online shop with lots of enthusiasm for crafting in a different style, dare to be different. Visit SHC and learn more. I have been professionally crafting since 2008, I gave colouring classes (with Promarkers) in Sweden, had exhibition in 2014, and used to make cards and mixed media mainly. I have a master degree in digital and visual design. Yes, 100% of graphics in the shop are my artwork including the logotype. Because I am not leaving my education, I am using it in my passion for paper crafting in the first place. Great combination as the future is full of plans and surprises, hold on and follow SHC on Facebook and blog, you'll find SHC everywhere." At Swedish House Crafts I run a Blogger of the Month and will be choosing 6 people for the first 6 months of the year. Those who I choose, gets really special offers. All applicants receives £5 voucher automatically after application is complete (with minimum purchase £20). Crafty Individuals is an exciting web based venture into the creative world of crafts and altered art products and produce an eclectic range of unique and top quality art rubber stamps, cutting dies, masks/stencils and paper craft products. Stamp Addicts is a family run business based in Bedfordshire and have been in business since 1992. We have watched the popularity of rubber stamping and all papercrafts steadily increase over time and now manufacture our own branded rubber stamps which frequently feature on Hochanda TV as well as exhibiting at craft shows across the UK. 'be Creative!' who have just launched a brand new range of craft products. 'be Creative!' will be launching their new web site very soon but in the meantime you can keep up to date by following their Facebook where you will see some of the new products and also purchase them from Once Upon a Stamp here. You can also contact Gordon and Justin by e.mail here. The products are always well received on Hochanda shows and are also be available at 'Create it' shows up and down the Country. masks/stencils and paper craft products. 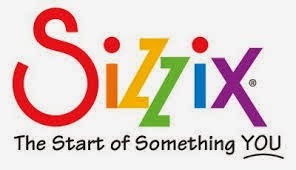 Sizzix, there's no bigger or better place for craft materials, custom dies and machines that can die-cut, emboss and texturize many materials, including cardstock, paper, construction paper, fabric, faux fur, felt and foil plus much more. Stix2 offer a range of craft adhesive and glue based products designed, die cuts, card blanks and envelops all especially for hobby crafters. Tattered Lace is home to a range of beautifully delicate and detailed craft products, including the successful Tattered Lace Dies and Embossing Folders, designed by Stephanie Weightman. Foil Play specialises in rub on foils and ultra fine glitter, along with card toppers and 3D decoupage (die cut and traditional) and a great selection of greetings and embellishments too. New products are added often and the site offers an array of over 11,000 different paper craft products from classic and well known brands, including Kanban, Hunkydory, Dufex, Craftwork Cards, La Pashe, The Hobby House, Debbi Moore Designs and many more. Tonic Studios are synonymous with quality and precision cutting products from scissors to punches, guillotines to dies. During the last year they have extended their range of products to high quality clear stamps and very recently released their own design papers. Their products are available from many High Street craft stores and frequently feature on Create and Craft TV. PDA sell quality cardstock, pre scored cards and envelopes, essentials such as Spellbinder dies and embossing folders, Imagination Crafts beautiful Sparkle Medium, and some cute charms and crystals from Hobby House. The website is always changing, so call back regularly for all the latest products. Little Claire is a team of 3 consisting of Gill (Little Claire) Steve and Carol (long suffering member of staff/friend/all round good egg – but not a beautiful as Gill!). Necessity is the mother of invention’ this is the saying that sums up the creation of Little Claire Designs – we love stamps and what better way to satisfy the stamping ‘urge’ than to create our own designs exactly as we want them! 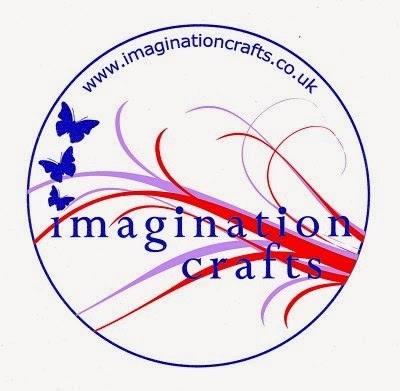 Imagination Crafts is run by a dedicated Craft Partnership with over 30 years of crafting experience. We work with a network of nationwide Artists to produce our own range of Rubber Stamps. Through our Web Site we aim to provide you with inspiration through originality. All our rubber stamps are from orignal artwork, our creative ideas using inks, powders, colour and techniques are here to inspire you. We are the UK's leading supplier and stockist of Rollagraph Products most of which are exclusive to us. We attend Craft Shows nationwide where we carry a huge range of Rollagraph products as well as our own. Our Show Demonstrations are truly inspiring, we support your interest with Step-by-Step ideas for using the products you buy and we welcome photography of our fantastic Samples and ideas. Our projects frequently feature in the Craft Magazines and we are happy to share our knowledge and ideas with our friends and customers. We enjoy problem solving so ask questions and we will try and find the right answer for you and most of all we look forward to meeting you and sharing our crafting ideas! Crafty Devils are one of the UK’s leading paper craft specialists with over 10,000 card making, scrapbooking, stamping and die cutting products on line. We aim to bring you the latest high quality products from all over the world, supplying quality branded products including Spellbinders, Marianne Designs, Molly Blooms, Tim Holtz, Ranger, Docrafts, Papermania, Promarkers, plus lots more at the lowest prices around and FREE postage to all UK postcodes for orders over £12. Baker Ross has been importing and distributing arts and crafts, educational and fundraising products to schools, playgroups, charities etc. in the UK and abroad by mail order since it started, and now supply thousands of different organisations every year. We currently offer over 4,000 items through our website and catalogues. Chloes Creative Cards is a family run company based in Durham, headed up by Chloe Endean and was developed from Chloe's love of all things crafty. "I started cardmaking as a hobby which I thoroughly enjoy and find very relaxing and rewarding. It wasn't long before I was being asked to create handmade cards by family and friends, which then snowballed to "friends of friends" and through their support and encouragement - Chloe's Creative Cards began and has continued to grow. Heartfelt Creations provides a unique line of artistic stamps, detailed dies and designer papers. Many of our stamps coordinate with our exclusive Spellbinders™ dies. The innovation of our stamps paired with matching dies offers a whole new dimension of possibilities and quickly adds eye-popping 3D depth to any project. Our designer papers are designed to coordinate with our product collections adding the perfect complement to any Heartfelt Creations stamp or die. And here is the fabulous prize on offer which is so complimentary to this months theme.